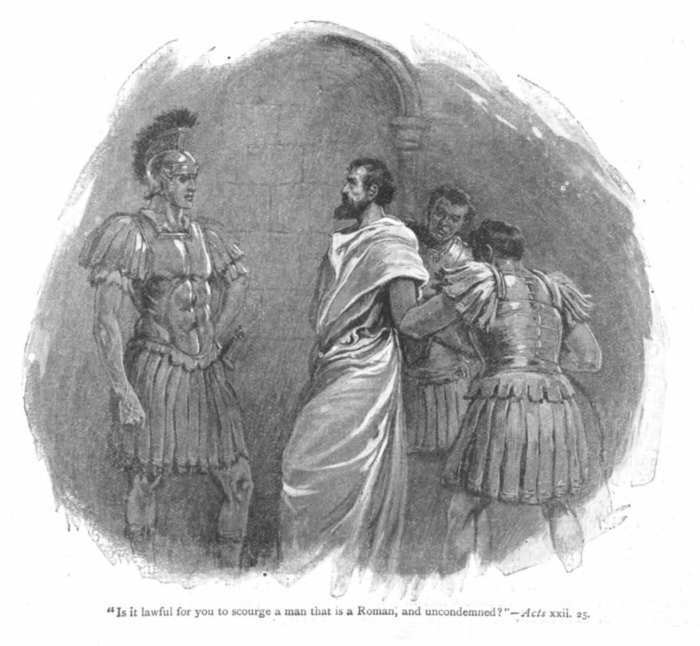 In Acts 22:25-29 the apostle Paul is being prepared for a flogging by the Roman tribune when he suddenly discloses his Roman citizenship. “Is it legal for you to flog a man who is a Roman citizen and uncondemned?” asks the apostle. This isn’t the first time that Paul’s citizenship has come up. At Phillipi (Acts 16:22-23) Paul remains silent about it until after his scourging. There are likely many other times when he simply stays quiet and surrenders his “right” (2 Corinthians 11:25). I’m sure Paul had his reasons for each decision. In light of recent current events here in the United States, I found this commentary on Acts 22:25-29 (a time in which Paul did appeal to his citizenship) particularly insightful. God’s providence and work in our lives is amazing. He orders everything so that we are prepared for each task He calls us to. Paul’s citizenship was no coincidence. God used it for His glory. What a blessing to read and consider. Thank you friend! Good food for thought Christina. Why would we not want to take full advantage of the privileges and freedoms God gives us ….provided they don’t violate his Law? If our freedoms are ever removed from us I’m guessing many of us will be regretting the missed opportunities we could have taken to promote the Gospel. I will be one of them.